Halophytes, as differently oriented salt-tolerant plants, can provide a solution for our future food security. 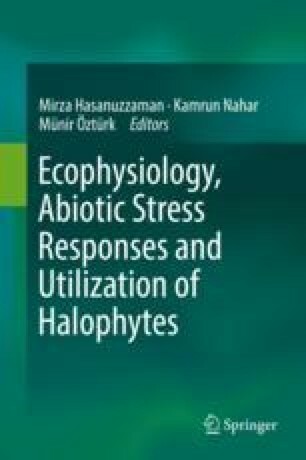 Lately, much attention is being paid toward the salt tolerance mechanism of halophytes, and attempts are made to provide fundamental knowledge for their genetical, agricultural, biotechnological aspects. As a dominating rule in the plant world, the most fragile and vulnerable developmental stage is germination. This holds true for the halophytes as well. Pre-germination adaptations and seed characteristics are important for the next generations. Adaptation mechanisms change with taxa, habitat type, and life span. Annual halophytes have dormancy mechanisms to avoid germination during unavailable period. Seed polymorphism is also one of the adaptations of halophytes against salinity and environmental fluctuations. For perennial halophytes, vegetative reproduction and long life span decrease the dependence on seed dormancy. Both annual and perennial halophytes guarantee their next generations by producing long-term or short-term seed banks. Evaluation of our knowledge related to these mechanisms can provide information for their propagation on saline habitats and reclamation of our degraded saline soils. They can provide a source for industrial products as well. Their evaluation can be used to put forward solutions for the food security of humans and animals. The authors would like to thank Dr. Münir Öztürk for the support during the preparation of the review and Dr. Isa Baskose for the help for design and preparation of seed photos.